The only constant thing in life is change. Our kitchen and bathroom requires many changes in the lifetime because these are the two rooms in our house that are used a lot. Moreover, changing would increase the value of your house. Not only does it make your house look extremely attractive but it also helps in protecting the house. It does not cost as much as remodeling does. It saves a lot of time. On the other hand, remodeling takes a lot of time as the whole of your room has to be done like fresh. It is flexible. If you feel the need for change of something, it can be easily done which is not easy in remodeling. It can be done by oneself only. There is no need to hire professionals for renovation. Here are some options of inexpensive bathroom and kitchen renovation that will make it look new, and cutting you from the boredom of the look. The cabinets of the kitchen and bathroom can be painted instead of replacing them. A new splash of color will add a new look to the space. Painting only the cabinets is an easy task and it can also be done by oneself. Moreover, the cost for buying that much of paint is not pocket straining. Painting cabinets would also increase their lifetime and save them from the pollution and other harmful weather conditions. With kitchen and bathroom, there is a problem of moisture that can prove to be harmful. A coat of paint twice in the year would not only keep on making them new but will also increase their lifetime. Painting the walls with a new pattern could be a great cheap renovation idea. If you really do not want to spend much, then only stripes across the wall with a different color can also do the trick. Another great tip is to paint only one of the four walls with a completely different and bright color. This idea not only looks expensive but also adds freshness to your bathroom and kitchen. If you want a good change in your bathroom, then you can change the cabinet sink with a pedestal sink. Pedestal sinks look classy and it makes the look of your bathroom more attractive and elegant. Online shopping is a great way to save money. Buy the commodities for your renovation from online sites when there is a discount going on. You can find discount almost in all the occasions. A retro charm to your kitchen or bathroom mixed with the modern styles give a great makeover to your room. Keep the steel sink of your kitchen. You can add stylish and hanging lamps on top of the sink because it will give a great look to the whole setup. Moreover, paint the cabinets with a good and attractive color. This will make your kitchen look brand new and it will also retain the vintage look. 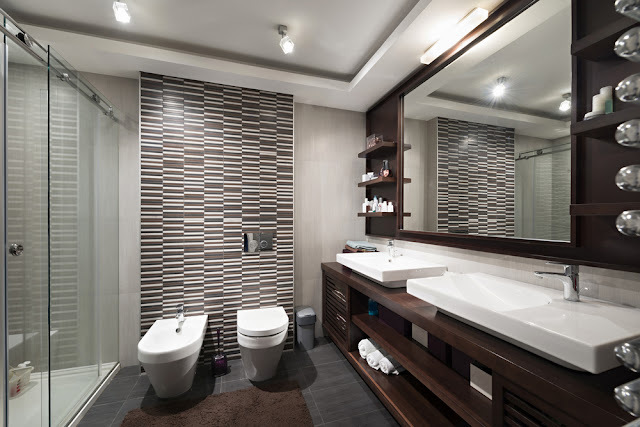 To change the look of your bathroom, simply change the mirror. Instead of a square and simple mirror, replace it with a hanging and a stylish one. Oval mirrors with decorations all around would change the look of your bathroom to a great extent. 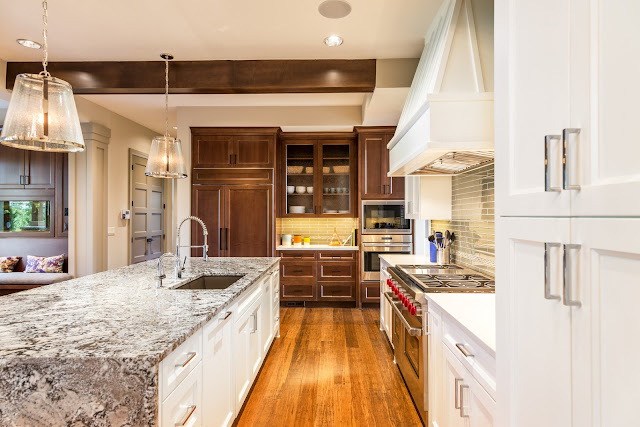 Instead of the CFL lights in your kitchen or bathroom, build a lighting that would look great. Yellow lights give a great look at night. It is actually capable of renovating the whole area. Halogen spot lights or wall fitted lights can be tried to make an impressive effect. These are the above tips when you renovate your bathroom and kitchen. If you would like to know more than visit here to get more ideas.